The impressive magma of World War One documents is now flowing and erupting from the biggest institutions and archives on the occasion of the fast approaching deadlines of the Centenary. A reliable picture of this boiling magma is what a visitor can encounter in the new exhibition „An Meine Völker! 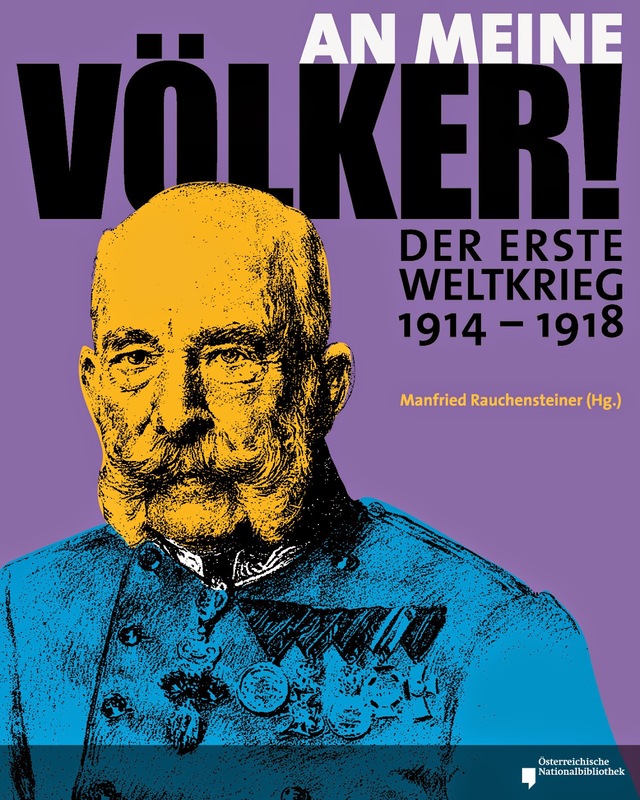 Der Erste Weltkrieg 1914-1918“ (“To my people. The First World War 1914-18”) hosted in the State Hall of the Österreichische Nationalbibliothek. Here are some of the astonishing figures of this exhibition curated by Manfried Rauchensteiner: 52,000 posters 38,000 photographs, postcards, diaries, approximately 840,000 newspaper pages from the years 1914 to 1918 (now digitized, keep an eye on also on Europeana Collections) and documents that stand probably for one of the biggest and richest appointments of this first year of the Centennial. Photography plays a relevant role in the layout, even if a great part of the space is dedicated to original documents. And like all respected exhibitions, equal attention is devoted to front life and daily life, to men, women and children. The huge amount of material now made available by Austrian National Library‘s predecessor, the Imperial Court Library, is the result of a long process of archiving that started already in 1914. Once again the visitors and scientific community are faced with a crucial problem (maybe an opportunity) and namely the overload of information and documents. This is the idea and the feeling that remain with us after viewing such impressive collection of memories. There’s nothing new under the sun. It’s not always a matter of quantity/quality. How can we deal with this overload of memories? Which kind of strategies should we consider to walk in this consolidated magma? The time is ripe, in this global scenario of the First World War centenary, and people are supposed to give an answer also to these questions or at least to try not to escape from their thorny question marks. The exhibition is open from 13th March to 2nd November 2014.